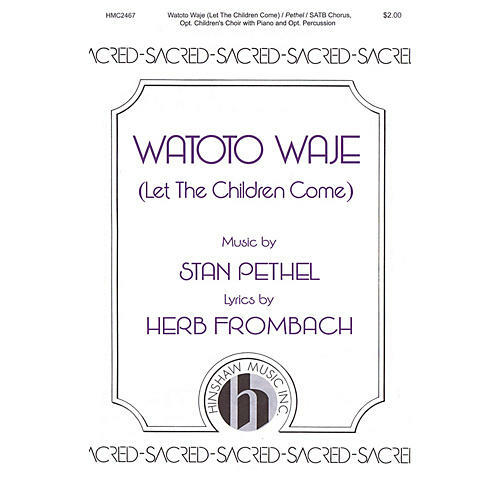 In this piece the title (which means, Let The Children Come in Swahili) is used as a refrain. The original verse text tells us that Jesus loves us all, especially the children. This is a perfect piece for your adult and children's choirs to sing together. The optional percussion adds a rhythmic intensity, and requires three players. Try it for Confirmation or festival ofthe Christian home. Difficulty Level: Medium Adult.